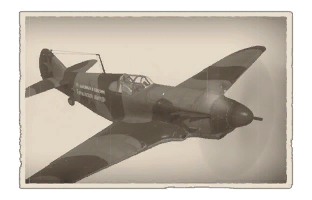 The LaGG-3-34 is a gift Rank II Soviet fighter with a battle rating of 3.0 (AB) and 2.3 (RB/SB). It was introduced in Update 1.41.27. Unfortunately, this vehicle is currently unavailable to players who want to purchase it. This fighter is equipped with a very effective 37 mm gun at 2.3. As such, it can fight later biplanes and early fighters, and will suffer in low altitude engagements due to its weight. However, if used as a heavy fighter (maintaining energy, using altitude and avoiding furballs), the LaGG-3-34 is extraordinarily effective in dealing with planes and tanks. The LaGG-3-34 is a modification of the LaGG-3 with a nose mounted 37 mm NS-37 auto-cannon that can be equipped with a variety of belts, including AP. It performs decently for a Soviet fighter, though it should be used as a bomber-hunter or anti-tank CAS plane. With 36 rounds for a 37 mm NS-37 mounted through the nose, and a single 12.7 Berezin UB with 200 rounds, the LaGG-3-34 is highly effective after you have mastered this aircraft. It operates well as a bomber interceptor, even though the climb rate may not be the best in it's class. The LaGG-3-34 is very powerful against attacker/bomber aircraft, and though the NS-37 isn't the most accurate, they are large targets you can usually take them out with relative ease. As such it is best to stay at high altitudes in order to dive on enemy bombers. The NS-37 is the same cannon as in the Yak-9T, so players experienced with that aircraft will feel right at home in this aircraft. The LaGG-3-34 can also provide ground support when equipped with AP rounds, although the slight inaccuracy with the cannon can make it difficult at long ranges against tanks. The Berezin 12.7 mm machine should really always have Air target rounds since it's not very useful when attacking ground targets. Even then it's best used to line up shots for the NS-37: fire a few bursts with just the 12.7 mm until you hit the target, then shoot one or two rounds of 37 mm. This should be all you need to bring down any aircraft at your BR. One interesting effect of this plane is that many enemies will try to head-on you since they will not recognize the aircraft tag and confuse it with a LaGG-3-35. These battles are easily winnable with the 37 mm cannon, as it has the ability to one-shot enemy fighters. Due to the added weight of the large cannon, this plane has excellent energy retention in the vertical, but quickly bleeds it while turn fighting. It struggles to keep pace after it loses speed, so players must be weary of any engagements that take place in the horizontal. Many American aircraft at this tier have the ability to out-turn you with flaps, so remain vigilant and do not be lulled into lower altitudes. German and Italian fighters will outperform you at altitude, so it is best to engage them at some distance with the 37 mm. Many people will head-on this aircraft if you use it as a fighter instead of an interceptor. Fire off a few shots with the 37 at .6 km, and then pull up or down to avoid their fire. Any damage to your engine can be fatal, as the glide characteristics of this modification of the LaGG are not very good. Bombers are weary of all aircraft approaching them. As such, coming from directly behind is not advisable. Blasting a wingtip off of a bomber from above is an excellent way to avoid being hit by most gunners. As a premium aircraft all modules are automatically unlocked. These planes where used during the battle of Stalingrad with great success against enemy bombers. However, recoil and center of gravity issues plagued the plane, and the extra weight caused them to suffer from worse performance then then other LaGG-3s, which where already some what under powered. The fact that the Il-2s were considered just as effective against ground targets, and the test flight of the Yak-9T which proved a much better platform for the NS-37 gun, spelled the end to this variant of the LaGG-3 with only 40 being produced. 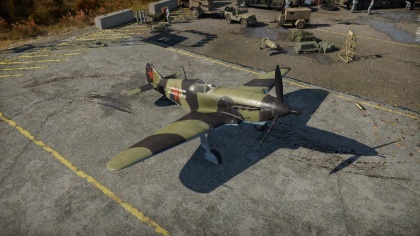 The LaGG-3-34 was obtainable via a pack from the Gaijin Store, but has been removed as of recent, making the LaGG-3-34 unobtainable to new players.